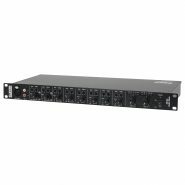 The front panel features easy to adjust operator controls plus a series of recessed engineer controls for bass, treble and VOX priority. 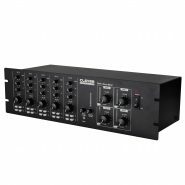 The ZM 84 mixer has 8 input channels, each with adjustable volume controls. Four of these channels are mono mic/line inputs via XLR sockets, the other four channels are phono line level stereo inputs. 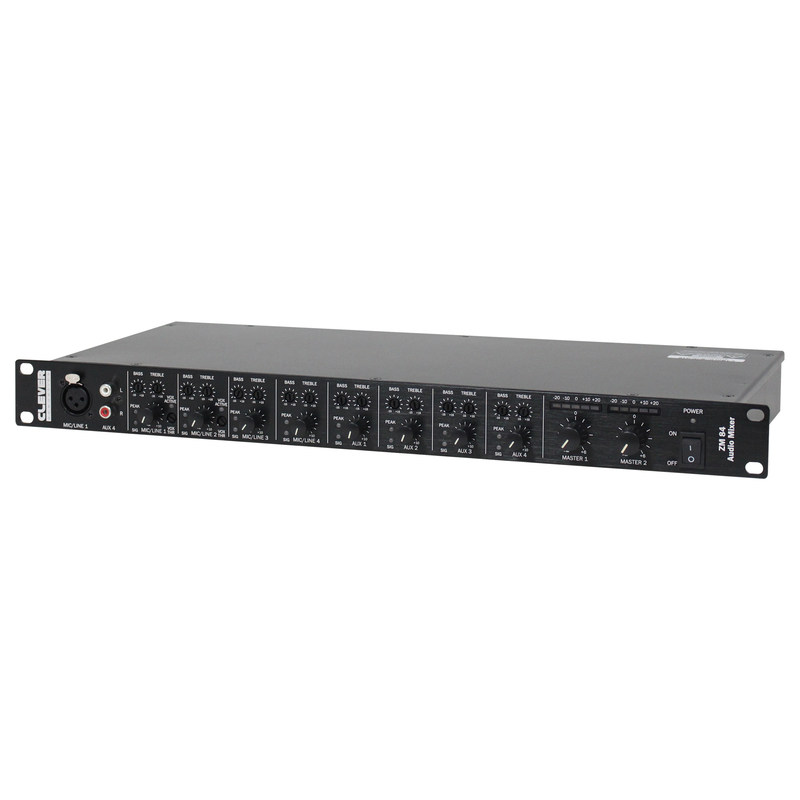 Adding to the features the ZM 84 has a 2 band EQ for each channel, two master outputs and a front panel mounted AUX input ideal for MP3 players. 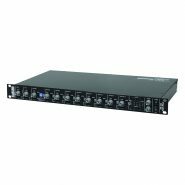 Internally, the ZM 84 features a comprehensive jumper system for configuration of the output routing, high pass filters and audio bus in/out for linking multiple ZM 84 zone mixers.